Pilato was best known for his performance as Captain Rhodes in the movie Day of the Dead, but made appearances in a number of films including, but not limited to- Dawn of the Dead, Wishmaster, and Pulp Fiction. Pilato's friend Marty Schiff, who was the source of the news, said that Pilato died silently in his sleep. Kyle Hebert does a good job IMO, I really like his Greymon line voices. 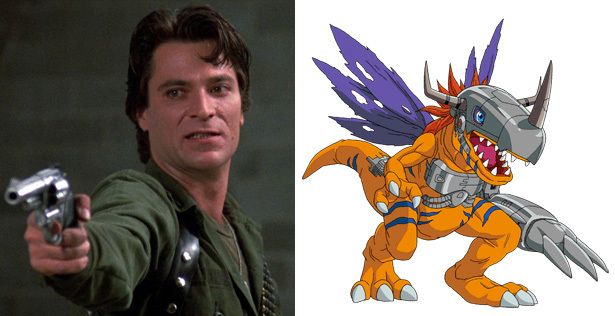 I didn't realize the actors for Greymon and MetalGreymon were different. He has quite the interesting list of appearances to his name as well. His voice for MetalGreymon was great, I hope he rests well. Aww, that's a shame. I didn't realize there was actually a different voice actor during the series, but I always recall the line reading being a really interesting take on it, so I guess that was him. Sad news indeed. His voice pretty much cemented MetalGreymon as my favourite Digimon. His role as MetalGreymon will be not forgotten for all Digimon Fans and me since our childhood always.